The Fastest Growing New Religious Movement in the America - Philosophy, Psychology and Religion - Chickensomething What Are You Afraid Of? With readings, hymns and communion, Daniel Santana's Sunday service could pass for a traditional Catholic Mass, if it were not for the cloaked skeletons and skulls that surround him. The ceremony takes place at a modest temple to Santa Muerte, the Mexican folk saint of death, in a rundown area of Guadalajara, the nation's second biggest city. Mentions the economic output of the paraphernalia sold. Los Angeles has two temples devoted to her. Home alters are common among the devotees. Most ask common prayers as to a patron saint. In Mexico, Santa Muerte has been linked to Satanism by the Catholic Churchin an attempt to thwart followers. Catholics and Protestants have joined forcesin warning people of the 'Black Magic' and trickery of the devil. The Churchis often horrified by the skeletons, reapersand evolution of Our Lady of Guadelupe.Folk practice does involve mysticism andmagic, but so do most world religions butthe language is systematically 'holy'. Whatthe church calls Miracles, folk practice callsMagic. All religion is mystical and allreligion has some form of magic andtrickery. 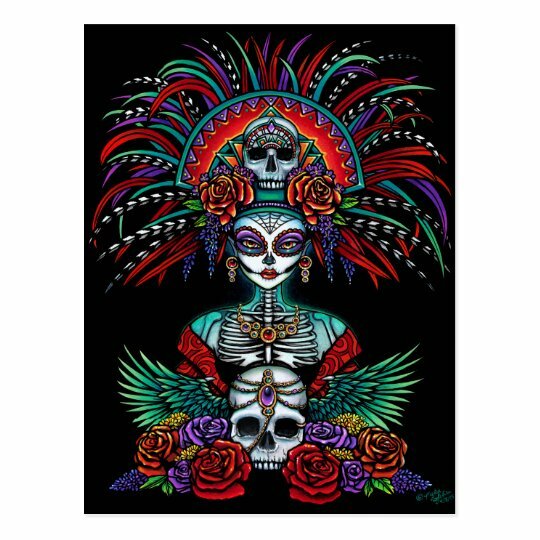 Whether those elements are goodor evil, light or dark; depends on personal interpretation and practicalapplication.The organization of information regarding Santa Muerte, her rituals, prayers, and dedications is chaotic.There is no centralized location a person may obtain information. There are a multitude of websites,ebooks, print material and referrals to mailing addresses but nearly all of them finger point to the'scammers' while scamming themselves. Like any new 'religion' it preys on the weak and their pocket books. None-the-less, I've managed to collect some worthy articles, books, prayers, a collective of symbolism, and practical application. It takes time and dedication, as you have to weed out the nonsense,and having a translating program is down-right handy. I put together this essay for any person who wishesto learn about Santa Muerte, regardless if they choose to devote to her. Devotion is not required to achievewisdom, and wisdom is achieved through self-education, examination and application. There is no official day of devotion dedicated to her. But All Souls Day seems to serve well enough. it's a spirit coalescing into the hearts of men and women. another image of an old mystique brought together to muddle the soul.